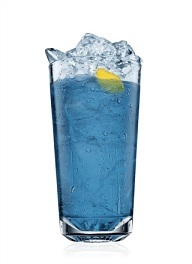 The Absolut Blue Pearl Cocktail is an Absolut Kurant, Blue Curacao, and lemon-lime soda cocktail served with ice in a highball glass. Add Absolut Kurant and Blue Curacao and lemon juice. Top off with lemon lime soda.